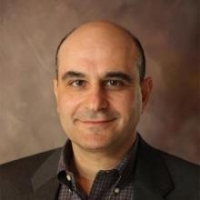 Emil Sayegh is President and CEO of Codero Hosting (www.codero.com), a leading provider of dedicated, managed, and cloud hosting services. Codero supports business customers worldwide through a reliable IT Hosting portfolio that spans dedicated, managed, and cloud services. Sayegh has expanded Codero’s product portfolio and grew its customer base, leveraging Codero’s reliable dedicated and cloud product set and its consistently high customer satisfaction ratings. Sayegh previously led and expanded successful cloud computing and hosting businesses for HP (NYSE: HPQ) and Rackspace Inc. (NYSE: RAX). At HP he was the Vice President of Cloud Services and led the company’s entry into the public cloud by leveraging HP technology and OpenStack, an open source cloud computing operating system. Prior to HP, Sayegh was the Vice President and General Manager of the Cloud Computing Division at Rackspace. During his tenure there, he led Rackspace’s entry into the emerging public cloud market and rapidly grew the business to more than 100,000 clients. He also spent more than 15 years in the IT industry in successful marketing, product management, and product development leadership roles at Dell Inc., RLX Technologies (acquired by HP), and Compaq (acquired by HP). Sayegh is based in Codero’s new Austin office. Emil holds nine patents. The function of the IoT Community, is to focus on the adoption & application of IoT in commercial environments, seeking to understand & contribute to applying the technology or overcoming the wide variety of barriers, inhibitors, and technical & operational issues. As a member of the board, Emil will provide impartial input and guidance to the overall vision, strategy and execution that is helping to shape the current and future direction for the IoT Community, as well as the broader IoT industry.